In July this year, the US Department of Defence and the US defence and aerospace major Lockheed Martin Corporation, finalised a historic agreement for the production and delivery of 141 F-35 Lightening II, Joint Strike Fighter, a fifth-generation combat aircraft. This contract with US DoD for the production of the 11th batch of this combat platform is valued at $11.5 billion with the unit cost being less than $82 million per aircraft. This price tag for undoubtedly the most sophisticated combat platform in the world today, has been the lowest so far in the history of the development programme of the F-35. Development of the F-35 aircraft was undertaken in the US by Lockheed Martin with the programme commencing in 1992. The new platform was accorded an experimental identity and was known as the X-35 Joint Strike Fighter. This project to develop a new fifth generation platform was taken up with the intention to replace the ageing fleet of fighter aircraft of the US armed forces which include the F-16, A-10, F/A-18 and the AV-8B. The F/A-18 E/F Super Hornet variants which are nearly of the same vintage as the others listed for replacement and are still in service, was not on the list of platforms to be replaced. This is because the significantly upgraded version this platform still has the potency as well as substantial useful life left to serve for at least a couple of decades more. However, the F/A-18 E/F Super Hornet cannot match or imbibe the technologies of the F-35 and hence is really no competitor. The maiden flight of the X-35 was undertaken eight years after commencement of the programme, that is on October 24, 2000. The F-35A that evolved from the X-35, took to the air for the first time on December 15, 2006. The team of aerospace industry partners involved in the development of the F-35, was led by Lockheed Martin. Other major industry partners in the programme were Northrop Grumman, Pratt & Whitney and BAE Systems. Deliveries of the F-35 for the US military are scheduled until 2037 with a projected service life up to 2070. A two-seat trainer version for this aircraft has been done away with on account of the fact that highly advanced flight simulators are now available rendering a trainer version irrelevant. Also, the twin-seat F-16 is employed as the “bridge trainers” for trainee pilots to graduate from the T-38 advanced trainers to the F-35. F-35A: a conventional takeoff and landing (CTOL) variant for the US Air Force. The first squadron of this version was declared combat ready on August 2, 2016. F-35B: a short takeoff and vertical landing (STOVL) variant for the US Marines. The first operational supersonic STOVL stealth fighter was ready for deployment on July 31, 2015. F-35C: a carrier-based, catapult assisted but arrested recovery (CATOBAR) variant for the US Navy, expected to enter service in 2018. F-35I Adir: Modified to meet with specific requirements of the Israeli Air Force, this version became operational in Israel this year. The name ‘Adir’ is a Hebrew word meaning ‘Awesome’ or ‘The Mighty One’. CF-35: The Canadian CF-35 is a proposed variant for the Canadian Air Force that would differ from the F-35A through the addition of a drogue parachute and may include an F-35B/C-style refueling probe. F-35D: Early-stage design study for a possible upgrade of the F-35A to be fielded by the 2035 target date of the Air Force Future Operating Concept. The Lockheed Martin F-35 Lightning II is a family of fifth generation, single-seat, single-engine, allweather, multi-role combat aircraft with a remarkably high degree of stealth capability. Bearing a close resemblance to the larger, twin-engine Lockheed Martin F-22 Raptor, the F-35 platform could be described as a younger sibling of the first fifth-generation combat aircraft in the world. The F-35 has also inherited some of the basic design features of the F-22 Raptor; but in addition, has several advanced features of its own. This fifth-generation combat platform is designed to undertake aerial missions for air strike deep into enemy territory as well as for the achievement of air superiority or even air dominance over the operational areas during war. Possessing a wide range of the latest and advanced technologies, especially stealth features, myriad of sensors, endowed with an operational range of 2,220 km on internal fuel, capable of supersonic speed of 1.6 Mach and a large weapon carrying capability, the F-35 is the most advanced fighter aircraft in the world ever built. With all these features combined, it would serve as a powerful force multiplier for any air force. 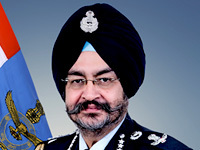 In fact, it is now regarded as a “game changer” by the armed forces of several countries across the globe operating this platform. 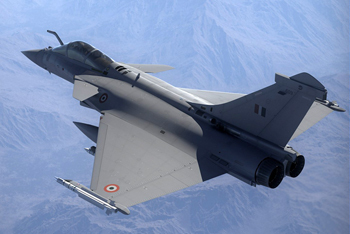 Its stealth design enables the aircraft to fly into enemy territory and undertake air operations undetected despite layers of ground based air defence radars or even airborne surveillance radars operated by the enemy. 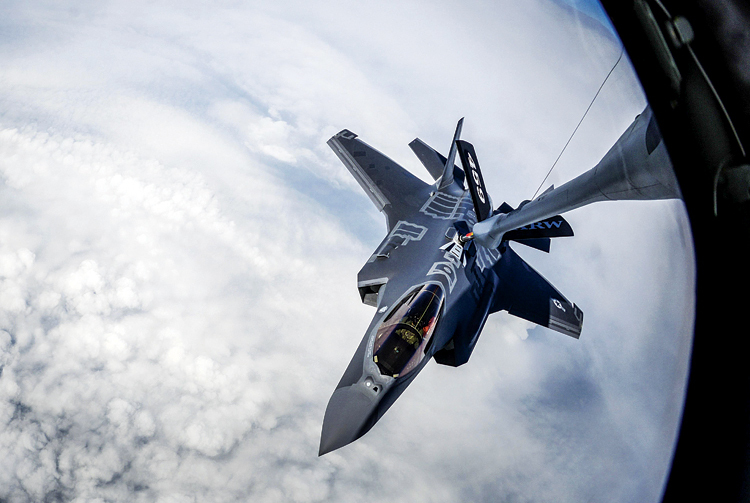 While operating in the airspace over enemy territory, the F-35 can deliver weapon loads against ground based targets or even engage aerial targets at long ranges before the enemy forces have time to react and take any defensive measures. This is a clear advantage over fourth-generation combat platforms such as the F-16 Fighting Falcon, the F/A-18 Super Hornet or the range of leading Russian combat aircraft of the fourth or fourth-plus generation that are no match to the F-35. 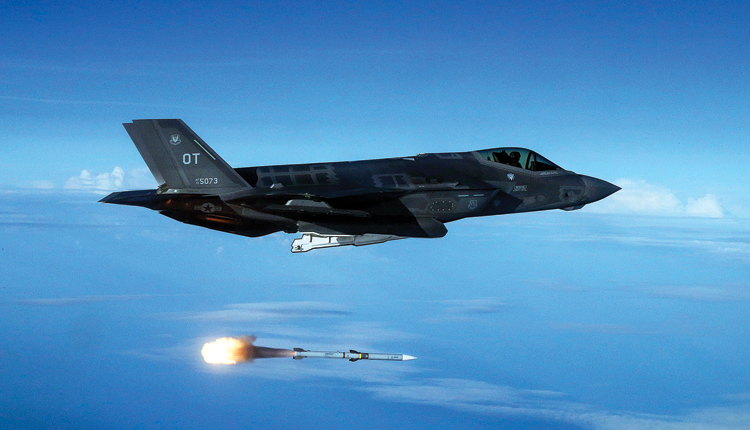 F-35A Lightning II fires AIM-120 AMRAM and AIM-9X missiles at QF-16 targets during a live fire test over an Air Force range in the Gulf of Mexico. The F-35 has been successfully employed in the combat role for the first time in 2018 by the Israeli Air Force. The aircraft was used to conduct air strikes on two different battle fronts during the ongoing conflict in the Middle East. On September 27, 2018, an F-35B of the US Marine Corps launched from USS Essex amphibious assault ship operating in the Arabian Sea, was used to carry out a strike against the Taliban in Afghanistan. This was the very first employment of the platform in combat. The F-35 development programme, the largest in the history of the global aerospace industry, is also branded as the most expensive one. The first two F-35A aircraft produced carried a price tag of more than $200 million per aircraft, a cost that was clearly unaffordable even by economically prosperous nations. Bringing down the cost of the world’s most expensive defence programme and consequently, the price of the aircraft, had therefore become crucial to securing orders both in the US as well as from other potential customers across the globe. 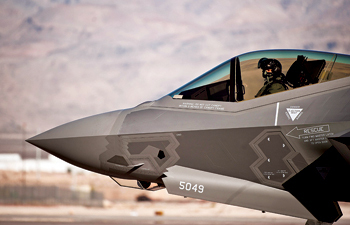 Though funding for the programme for the development of the F-35 was provided primarily by the US, there were a number of nations, either from amongst the members of NATO or close allies of the US, that joined hands in support of the project to develop the fifth-generation combat platform. These list of supporting nations included the United Kingdom, Italy, Australia, Canada, Norway, Denmark, the Netherlands and Turkey. 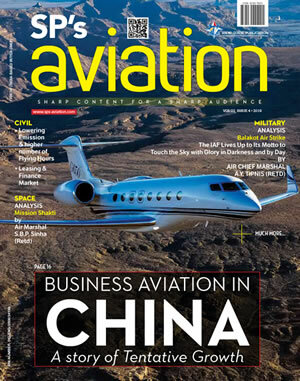 A number of other countries have either placed orders for the aircraft or are contemplating to do so. However, the high cost could prove to be a detriment in the process. Fortunately, the F-35 programme has strong support in the US Congress and as per the original equipment manufacturer (OEM) Lockheed Martin, the company is supported by as many as 1,500 suppliers spread across 46 nations of the world. Conscious of the adverse impact high cost of the platform would have on the company’s prospects of making significant inroads into the global market, Lockheed Martin has been on a drive to rationalise the price tag. 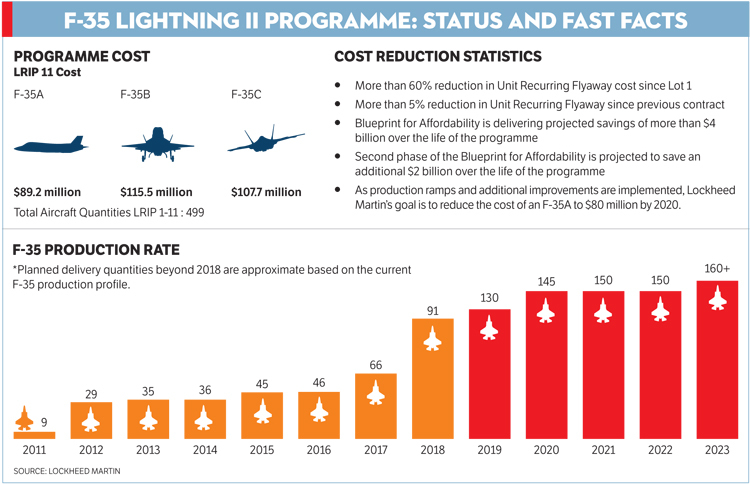 The company’s efforts are indeed paying off as for the eleventh consecutive year, the cost of the F-35A is lower in comparison to the previous batch ie Low-Rate Initial Production Lot 10. The company is now embarked on a plan to bring the price tag to below $80 million by 2020. Even at a price of $82 million per unit, the F-35, a fifth-generation combat platform not only challenges currently available combat platforms in the world, but would be a highly attractive option for Air Forces around the globe to significantly enhance their operational capability in the domain of air power. In an expected move, which is sure to impact the balance of power in East Asia and might upset China and Russia, Japan plans to purchase nearly 150 F-35 stealth fighter jets from the US. According to sources, a deal is being worked on for Japan to buy additional about 100 of the stealthy single-engine F-35s. Nikkei News Service put the value of the fighter jet deal at $8.8 billion, with the value of each jet at $88 million. Some 40 of the order would be F-35Bs, capable of short take-offs and vertical landings on a warship, confirmed the source. Sources said that the new Japanese-US deal would include two of the three F-35 variants, the A and B models. F-35As, of which Japan already has 10 in its fleet, with 32 more on an pre-existing order, are conventional jets, using a runway to take-off and land. F-35Bs are short take-off and vertical landing capable, meaning they can use smaller airports or operate from flattop warships. With this short take-off and vertical landing capability Japan will now be able to operate at sea and reach areas in a shorter time, an important maritime capability. US pitches the F-35, with the world’s most advanced avionics, engines and weaponry, as the “the most affordable, lethal, supportable and survivable aircraft ever to be used.” To leverage this new capability and push the front line of maritime engagement, Japan is seriously considering refitting at least one of its Izumo helicopter destroyers to accommodate jets, essentially transforming one or both of the 27,000-tonne vessels into aircraft carriers. This move, comes amidst China’s continued naval expansion in the South China Sea and in the Pacific Ocean. Highlighted concerns over Asia’s changing security environment is pushing Japan’s buildup of a capable military that deters China and acts as a counter-balance against Chinese power. F-35Bs on a Japanese warship “add a new dimension” and “a deterrent factor” to the security situation in the Pacific. The F-35B can operate from modified runways or make-shift airfields, giving Japan’s Air Self-Defense Force (ASDF) more options to operate from smaller, more distant Japanese islands. This is quite important for survivability and response if the major airbases are put out of commission in a saturation missile attack. Twelve nations besides Japan and the US are in the F-35 program, with two of those, Australia and South Korea, in the Pacific region, according to Lockheed Martin, which builds the plane. Japan enjoys the advantage of being one of three final assembly points for the F-35, the others being in Texas, US and Italy.